Everybody thinks of chocolate when talking about Valentine’s Day, but chocolate is so 2017. Switch it up this year with a sweet Valentine’s Day take on a classic candy. According to a few sources, the “Love mix” contains white, red, and pink candies in varying fruity flavors. Instagram user, Junk Banter, posted a photo which noted some of the flavors include Watermelon, White Grape, Yumberry, Strawberry, and Cherry. 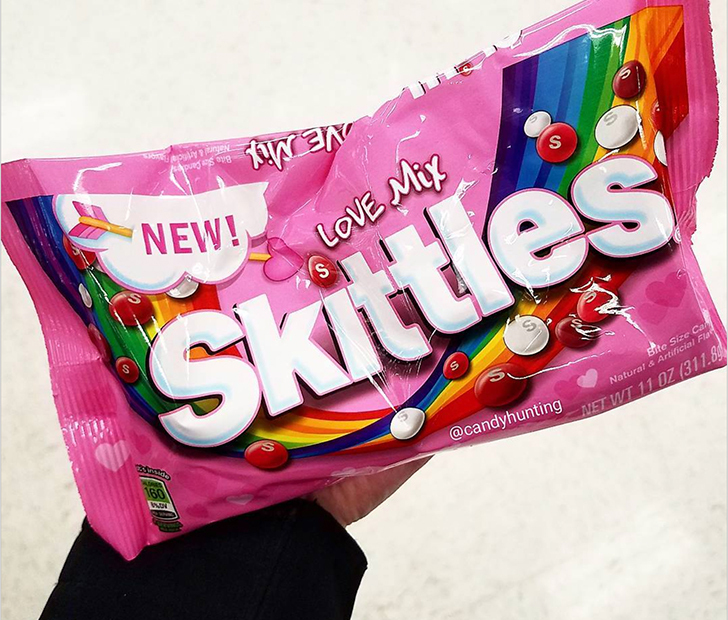 Another sweets-loving Instagram user, Candy Hunting, posted a photo of their find and let followers know that the Skittles Love Mix can only be found at Target. While Valentine’s Day isn’t for a few weeks to come, the mix was released on Jan 7. That gives Skittle-lovers enough time to “taste test” them before purchasing some for that special someone. After all, it’s only the best for your sweetheart, right?